Remember when my family went away for spring break and I stayed here working? The project I stayed here working on is out on news stands now. It came out last Thursday to be exact. 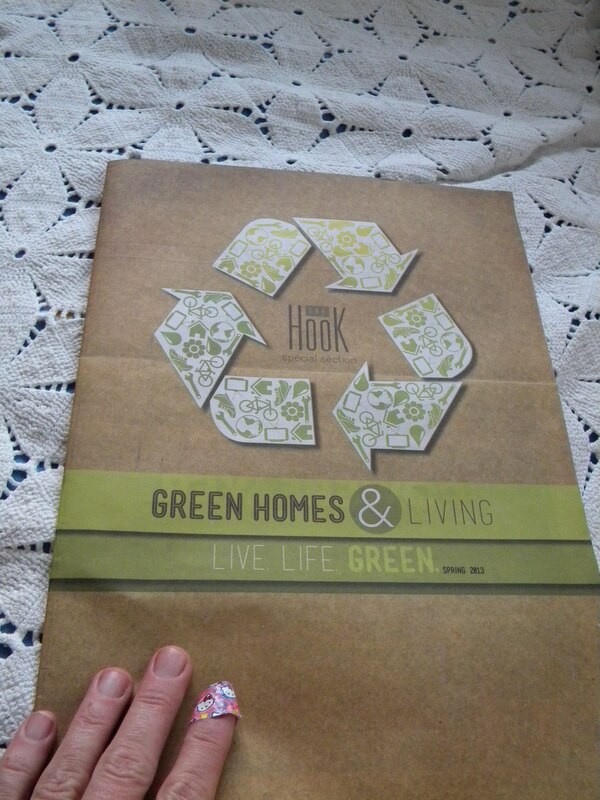 The Hook’s Green Homes and Living Special Section is a pull-out section of the local alternative’s weekly issue this week. 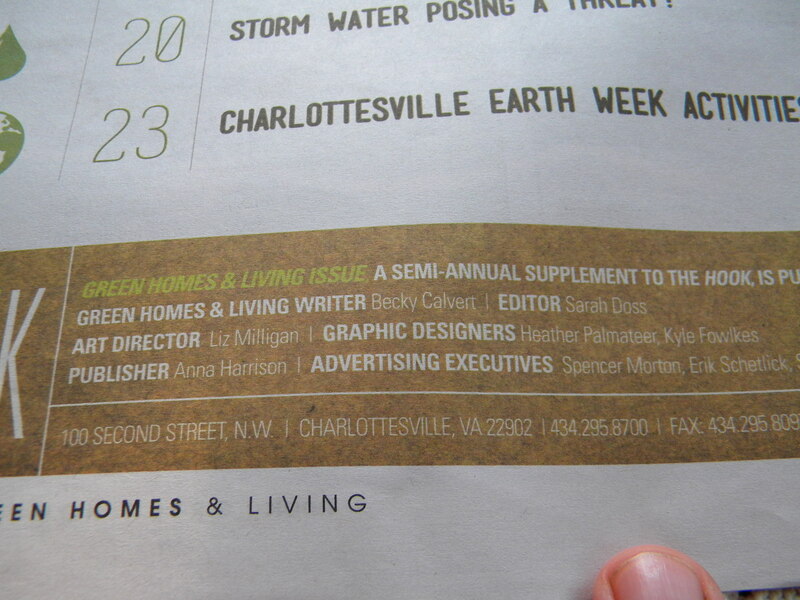 It contains eight articles that cover a variety of local green living aspects. Some of the photos are mine as well. 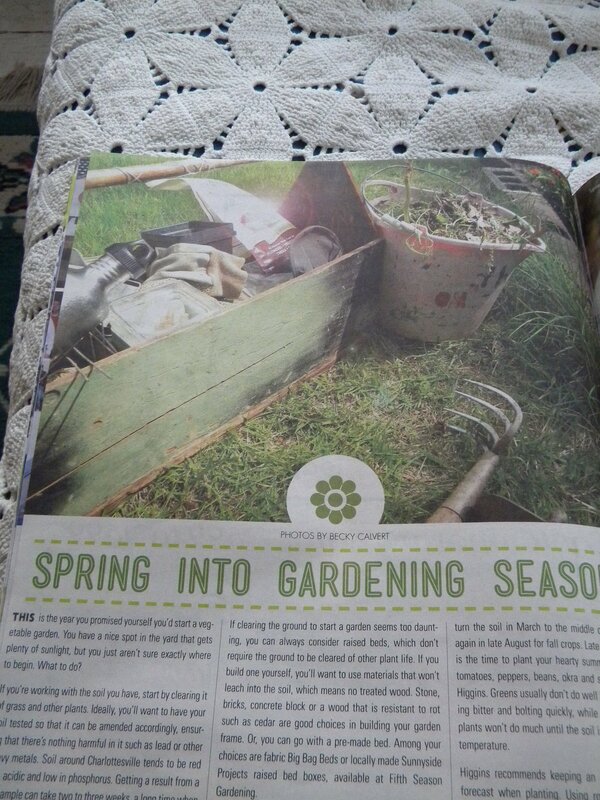 There are some articles near & dear to me – I wrote about Betty’s construction project on Rose Hill (which I had blogged about here last spring), stormwater and gardening – while learning about some fantastic local folks, like The Auto Hobby Shop & Community Bikes. I had no idea I could drop our worn out electronics off at Crutchfield’s retail outlet, nor did I really know why you don’t want to throw those things in the landfill. Now I do. And I wrote all about it so you can know too. I have some photo credits throughout the edition as well. I narrowed down close to a thousand photos I shot to a disc of less than a hundred. While I worked on some of the text edits, I had no idea what photos were going to be selected until I held the final print in my hands. Which was a completely fulfilling experience, seeing all that work come to fruition. If you haven’t picked yourself up a copy, you can check out the on-line version here. Wines I Drank – The Front Yard Edition. Awesome! You did a great job. It looks great. Nicely done.